With summer in full swing, there are many concerns with managing a healthy and vibrant St. Augustine lawn. Even though temperatures are soaring above the 90-degree mark in Florida, the wetness from rain showers is not drying because humidity is staying at high levels, 85% and above on a consistent basis all day and through the night. This process ensures that lawns will stay wet for extended periods of time. Because of this, fungus can wreak havoc on a lawn. Dollar Spot Fungus is still present from the spring time because it has become resistant to many fungicides. 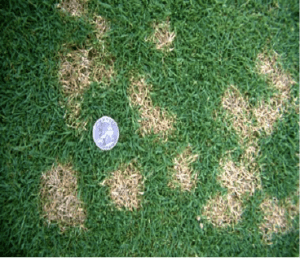 Dollar Spot Fungus is predominantly present in lawns from fall through spring, but can still linger into early summer. It is identified by its circular dead spot pattern. Affected areas of damage can range from 1 inch in diameter to 6 inches in diameter, but connected spots can often make damage patterns larger. The main cause is primarily related two issues: (1) nitrogen deficient grass, and (2) consecutive days of infrequent rain combined with heavy morning dew. The most effective way to manage Dollar Spot Fungus is through applying nitrogen. 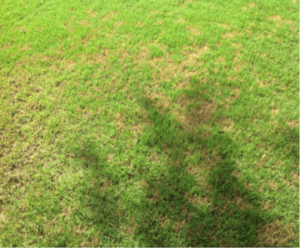 However, the nitrogen blackout in Volusia county, which is from June 1st through September 30th each year, prevents lawn spraying companies from applying nitrogen to treat this fungus. Therefore, technicians must rotate fungicides with each application to lessen the resistance of one particular fungicide, follow proper label rates, and schedule follow ups with customers to inspect progress. 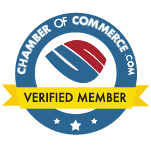 In addition to lawn spraying companies like Dave’s Pest Control correcting fungus issues, the customer plays an important role in their yard as well. For example, customers should implement proper watering habits. This is necessary to combat many nuisance fungi. Water only when needed (e.g. ¾- 1 inch of water per each watering cycle). Also, only watering in the mornings before first daylight (i.e. not at night) will allow the grass and soil to not stay too wet for extended periods of time, which prevents the fungus from spreading and further damaging the lawn. Improper watering habits and overwatering will only aggravate the fungus issue; thereby, promoting more fungus and stress to the lawn. 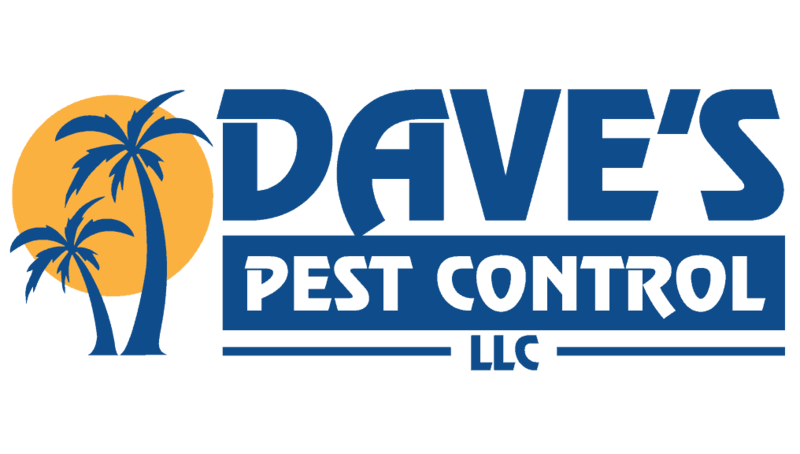 The technicians at Dave’s Pest Control inspect for potential problems that can arise from these conditions that are favorable to fungus, and are experts at lessening the impact of fungus and preventing it from devastating a lawn.